Looking for snow removal services in Provo, UT? When winter comes, and you’re in need of a good snow shovel company to clear away the driveways, alleys, and parking lots, then we are the best choice. If you are in Provo, Utah and looking for a company that can take care of all your snow related issues, look no further, Provo Snow Removal will sort you out. We offer snow removal services to homeowners associations, apartment complexes, office complexes, and small businesses. We offer high-quality industrial snow removal service. When it comes to snow, we access each case individually, that’s why our team will visit your premises for snow plowing rates. The consultation is done to map the landscape and make you an offer which is done free. You will have a bid within 24 hours or possibly on the spot! We work within the client’s schedules to ensure business runs as usual. Our goal at Provo Snow Removal is to create a safe winter environment on your property. We offer our services not only during the storm, but our crews return the following night to insure the property is safe by applying de-icer and snow blowing to any problem areas. Depending on how much ice your land can tolerance, you will determine when you want it cleared away. If you need it removed after 3 inches of accumulation, we offer specialized snow removal contracts that let the customer determine at what snow depth they want snow removal and de-icing services. We are equipped to handle any size property with our vast fleet of trucks and heavy equipment. Over the years Provo Snow Removal has invested in the proper snow removal equipment to handle large parking areas and roads. We have a large fleet of snow blowers trucks, box plows for backhoes, wheel loaders, skid loaders, and RPM blowers for when the snow really falls. Our snow removal team consists of professional members who have a lot of experience in clearing snow from around your building. Do not let snow inconvenience your business or comfort when we are a call away! Our employees are well trained to access and tackle all kind of situations with diligence and efficiency to get you back on track at work or home. We are on call 24/7 by radio or phone to serve you. Our customer care people will take your calls anytime of the day and attend to your needs. Our consultants will visit the site within the shortest time possible and estimate the costs for you to ensure you stay within your budget. Our snow plowing rates are pocket friendly to make sure you get the best service for your bucks. Our company prides itself on using only the best. 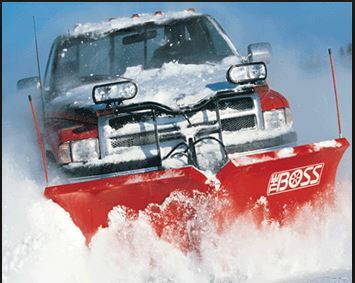 We use top of the line Western 8″ v-plows and salt spreaders. These allow us to do a faster and safer job while maneuvering and moving snow around buildings, parked cars, and other obstacles that your typical straight blade may struggle to do. Our machinery is serviced regularly and well maintained to make them available to you when you need our help. With us, you are guaranteed to find a vehicle that suits your needs. Our team is able to offer fast response service through coordinated communication. We have divided the Utah area in quadrants which are served by a designated group. We will go beyond our way to make sure we offer the best service to facilitate the running of your business. Our employees are paid above industry average and are always available to help. The snow plowing services we offer can’t be matched in this region; we have the best snow removal rates for all our clients. We have a complete liability insurance cover to insure that you and your property are fully taken care when we are on the job should an accident occur. To date, we have been able to perform our job without any incident occurring. We have the help of local insurance firms to help sort issues in case of problems arising. Provo Snow Removal is the company to call when the winter comes and snow becomes a hindrance to your business. We are the capability to serve both small and industrial sized properties. We have the man power and the right equipment to make sure your sidewalks, roads and alleys are snow free when you call us. With exceptional turnaround from the time you get the quote, we will have you snow free in 24 hours. Our snow plowing pricing is affordable to suit your budget. Our team will ensure you stay within your budget by giving you an estimate first. You are not just getting snow plowing when you use us; you will experience professionalism at its best. Our professionally trained team will arrive on time and meet all your specific needs with grace. Enjoy comfort indoors as we work hard to get rid of the snow to make sure schedules are running smoothly. Whether you are looking to get rid of two inches or five inches of snow around your home or property, we will advice on the best way to remove it and toll away the piles at no added costs. This expense is taken care of in the snow removal pricing quotation. Your business doesn’t have to close for us to work. We will work with your schedule and get to work at the most convenient hour for you. 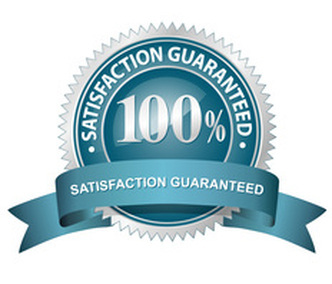 We are dedicated to making our customers happy by providing the best services that is worth of our client’s money. We've been in the snow removal business since [YEAR] and have mastered this field. We have our 24/7 dispatch and employ innovative tactics to provide our clients with peace of mind. We operate with insurance and employee coverage, so nothing will affect your business no matter what happens while we work on your property. Don’t let the snow slow you down anymore, ask for a free estimate today and embrace the winter joys without having to deal with its drawbacks! Call us today to see how we can make snow and ice removal a better experience for you company.